If you need to move large or bulky items, or transport a lot of goods, and your existing van or vehicle isn't up to the job, then you might want to try using a trailer hire service. At 1300 Meteor, we have been in the rental business for three generations. Our service was set up by Brian Addison, and back during those days, was called Planet Homes. Over the years it has evolved, and Brian's son, and grandson, have both gotten involved with growing and developing the business. Planet Homes was initially about affordable housing, and from there, trailer homes was a natural progression. Today, we still do trailer homes, but we also do commercial trailers, U Hauls, trucks and more. We are committed to moving with the demands of the industry and the demands of the Australian marketplace. Today, we have remained faithful to our Queensland roots. We have branches in Cairns, Mount Isa and Townsville, and our selection of vehicles has been tailored for each town and specific industries in the area. We work with everything from homeowners who need to move furniture to miners who have to move pieces of heavy equipment. We understand that some of the people we are working with will already have large fleets of their own vehicles, and simply want a dropside truck or tipper or a single axle trailer or cage trailer that they can use for one job and then return it. Other clients might want a 'one way' haulage job, and then appreciate the convenience of having us come to pick up the vehicle once the job is done. We don't just drop off a truck and leave you to it (unless that's what you want). We also offer a full range of safety equipment, including nets, straps, trolleys and more to make the job easier. If you think that you will need any of that equipment, just ask when you place your rental order. Our trailers are top quality commercial rentals with LED tail lights for maximum visibility, winches as standard in the full-floor car carriers, walk-on ramps in the furniture carriers, and galvanised steel bodies. We know that when you call our trailer hire services you are doing so because you need a robust and secure trailer that can handle the job at hand. We have chosen trailers that are made from lightweight but strong materials to keep the weight of the trailer itself to a minimum, allowing you to get the most carrying capacity out of your vehicle. We have a range of sizes available, so whatever kind of driving license you or your drivers have, we can help you with a trailer that they can use safely and legally. Renting a trailer is a good option if you do not expect to use it every day. If you're using a trailer for a one off move, then renting is the obvious option. Renting can also make sense if you have a specific job to do even if the job is expected to last a couple of months, since once the job is done you can send the trailer back. Why worry about storage, maintenance and insurance when you can let someone else handle those things for you. The same goes for other vehicles, such as cars. Many business people opt to rent a car instead of buying one, because it means that they can always be driving the newest model. They have a flat fee that they pay for renting the vehicle and they know that everything is included in that fee (tax, maintenance, etc). They rent each vehicle for a few months at a time and then if they ever get bored or want a change then they can get a different vehicle instead. If they're away from home with work, they can stop paying for the car at home, and rent one in their other town. It's an efficient and hassle-free way of making sure that you always have the car that you want to drive. If you are in need of a trailer, truck, U-Haul or any other vehicle, give 1300 Meteor Rentals a call. We are here to help you with all of your trailer hire and vehicle rental needs. From short day hires to rentals for longer jobs, renting a vehicle or trailer from us takes the stress out of managing a fleet and could save you a lot of money in the long run. 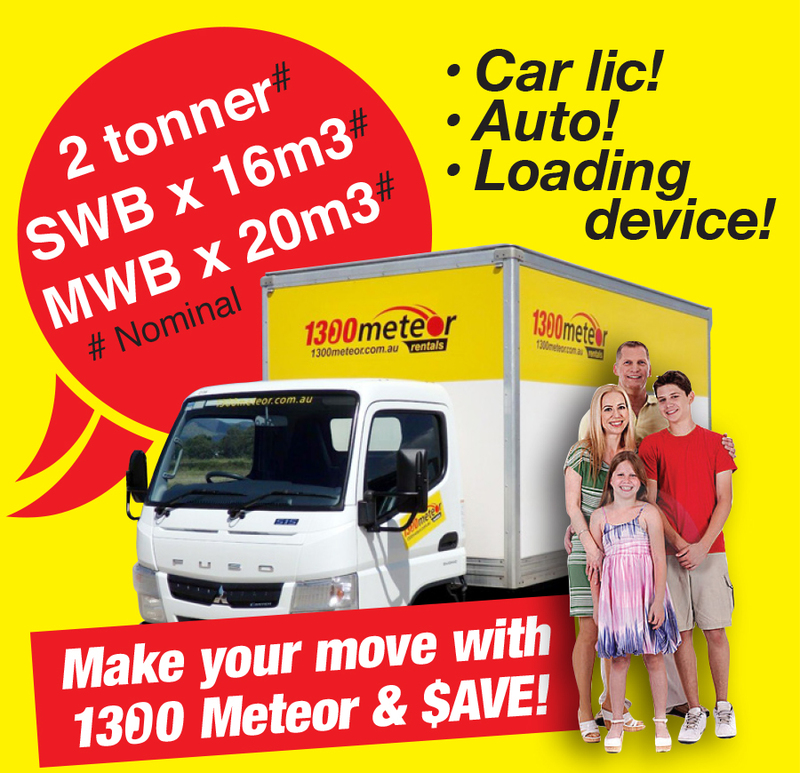 1300 Meteor is a family-run business that is passionate about trailers and trucks. 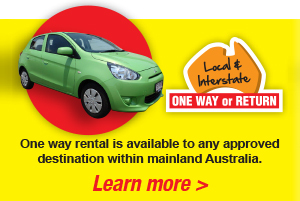 Call us today to find the perfect rental.